Bishop Kallistos Ware answers a question about the relationship between church and nation in an interview. The first thing that comes to my mind and nothing very surprising originally in what I’m going to say now is, we Orthodox have to reflect about the relationship between church and nation between faith and ethic culture. 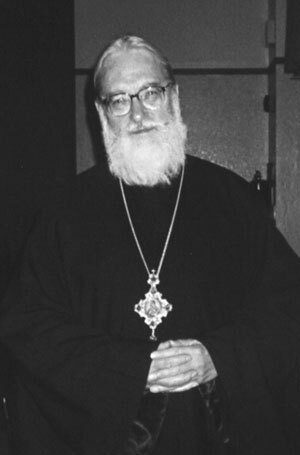 We recognize that in the last ten centuries in many parts of the Orthodox world, the universality the Church, it’s catholicity has been obscured by strong national loyalties, and that people have sometimes thought of themselves Greek, Serb or Russian before they think themselves as Orthodox Catholic Christens, and so the church has been often hijacked by a national agenda. This is still happening in Russia for example and Ukraine; there is an immense upsurge of nationalism following the fall of communism. There is also revival of the faith but there is a danger of two narrow a link being made between national identity and what it is to be a baptized Christian. So, I think we have to work on that one, but the church does get hijacked and becomes a common instrument for a national program. But! National values are very precious; I do not want to see a vague orthodox cosmopolitanism that does not stand for anything in particular. We must not simple throw all our traditions overboard and say ‘let’s just be Christians’ because Christianity has to be incarnated, in a particular culture. For example, here is a glass of water, what matters is the water inside the glass, but I can’t drink the water without the glass. Sometimes I can go to a mountain stream and drink its water, but I can’t do that everyday, especially here in Wichita America any many other places as to say *laughs*. Now what matters in a church point of view is the living water in the orthodox catholic faith but the national culture often acts as a glass so that we can receive this water. So we shouldn’t be too quick in America perhaps to throw aside all our national traditions, because after all America has its identity but its not clear what its meant to be an American orthodox, in a way that it is very clear what it means to be Serbian orthodox, Romanian orthodox, Arabic orthodox etc. In that way, we must not allow the national traditions to dominate and limit us, but we can use them. Interview took place in Wichita, America with His Grace Kallisots Ware. Lovely and pertinent image of a nation’s culture being the glass that holds the life-giving water of Orthodoxy!